« Evolution: Education and Outreach, vol. 3 issue 2. The American Museum of Natural History in New York City is one of the world’s premier natural history museums. I had the privilege of working there for a year as a postdoc, so I got to see a fair bit behind the scenes. Most people don’t get this opportunity, however, which is why it’s nice to see a gallery at Wired that shows some of what the public normally doesn’t see. 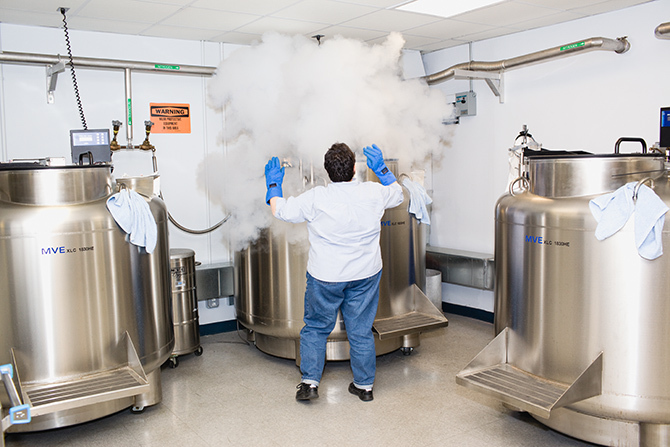 It begins with some pictures inside the Ambrose Monell Cryo Collection where tissue samples are stored in massive liquid nitrogen freezers. My good friend Bob Hanner was integral in setting up the collection, and is now here in Guelph working on DNA barcoding of fishes — you may have seen stories about his work investigating market substitution recently. Check it out at Wired here!